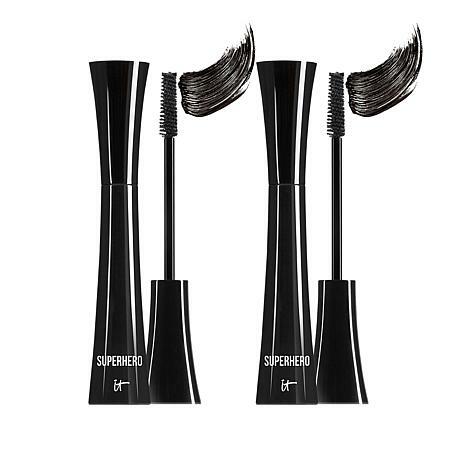 A duo of Superhero volumizing mascaras formulated to transform the look of your lashes in just one coat. 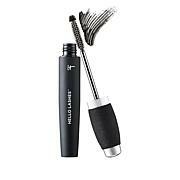 Mascara up and through to the tips, coating each lash. 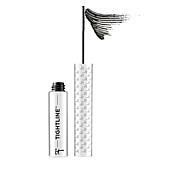 Tripeptide-1, Iron Oxide (CI 77499). 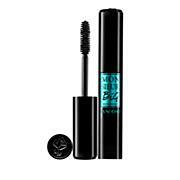 I love love love this mascara its the best and it really dose work . 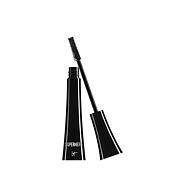 I gave a 4 star because mascara tends to get thick a little sooner than I think it should but the application is easy and quick, makes lashes luscious looking and long.